Look at the heavyweights! 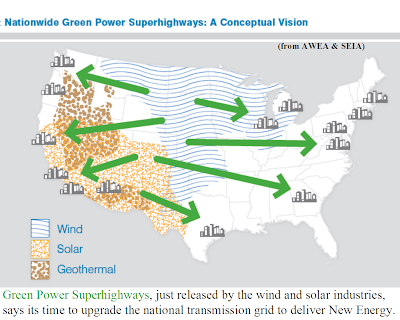 Clinton, Gore, Chu, Reid, Pelosi, Union and grassroots and New Energy industry leaders…All advocating New Energy and a national green energy transmission system. Despite the hype, it really was a landmark gathering. From pickensplan via YouTube. Peter Sinclair exposes the lie that current global climate change is merely a 1500-year fluctuation and he exposes the men behind the lie, men who have in the past argued that organic food is dangerous and cigarette smoking is safe. From greenman3610 via YouTube. President Obama reiterated his commitment to doubling U.S. New Energy capacity within 3 years in his speech to the joint session of Congress. To facilitate accomplishing that, Congress will need to expand on the important short-term New Energy provisions in the stimulus package just passed. A national mandatory cap on greenhouse gas emissions (GhGs) with a marketplace – in which companies can buy credits to emit above their caps and companies that have adopted effective Energy Efficiency methods or acquired New Energy sources can sell unneeded credits for supplementary revenues – will be near the top of the agenda. The specifics of this legislation remain in serious contention and lobbying is furious over the parameters of the caps and the trading. (See yesterday’s THE CLIMATE CHANGE BUSINESS) Though climate change is an urgent matter, the deadline for the legislation is not until the December 2009 Copenhagen world summit, where a successor agreement to the Kyoto treaty will define a new international cap-and-trade system. It is therefore likely Democratic leaders will postpone finalizing U.S. climate bill details until later in the year. Another high priority item that will require legislative attention is a national mandatory Renewable Electricity Standard (RES) requiring all U.S. utilities to obtain a specific portion of their power from New Energy sources by a date certain. The White House has consistently said it will seek an RES (sometimes called a Renewable Portfolio Standard, RPS) of 10% New Energy sources by 2012 and 25% by 2025. In the Senate, this legislation is being worked out by the Energy and Natural Resources Committee chaired by Senator Jeff Bingaman (D-NM). Senate Majority Leader Reid recently said he would start with the RES. Senator Reid: "We all agree: Let's start with Bingaman's committee and come up with something dealing with renewable portfolio standards, some real good conservation measures in buildings and things of that nature…"
After these 2 pieces of legislation, there is a roster of possibilities. A recent conference of New Energy heavyweights - headed by former President Bill Clinton, former Vice President, Nobel laureate and climate hero Al Gore and Obama Secretary of Energy and Nobel laureate Steven Chu - added their prestigious voices to a joint call from the American Wind Energy Association (AWEA) and the Solar Energy Industries Association (SEIA) for an upgrade to the national electricity transmission system to ready it for delivering New Energy-generated electricity from the remote areas where New Energy is abundant to the population centers where electricity is high in demand. 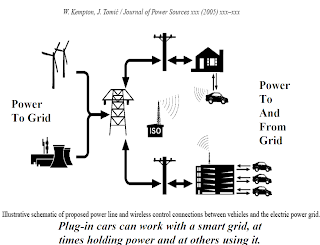 Senator Reid said the "…highway to transmit electricity to where it's needed…" and the implementation of a “smart grid” are likely to be next on the schedule. 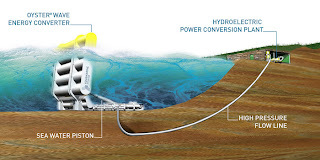 Senator Reid announces New Energy transmission. From SenatorReid via YouTube. Senator Reid believes it will be easier to pass climate change legislation after the RES mandating New Energy and the transmission to carry New Energy are in place. Meanwhile, he will allow details of the national cap-and-trade system to work their way through the Senate Environment and Public Works Committee chaired by Senator Barbara Boxer (D-Calif.). Senator Reid: "It will make it so much easier to do that to get rid of the energy stuff -- so-called low-hanging fruit -- to get something done with transmission…[then we] will be able to move expeditiously to get [the climate change bill] done..As far as getting you a definite time, I can't do that…Our goal is to get that done this year." 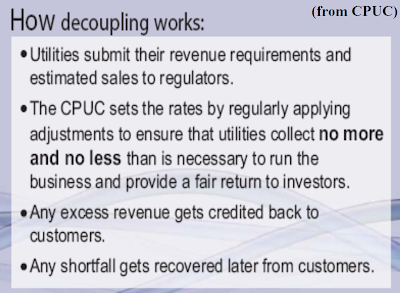 Congressman Ed Markey (D-Mass) is pushing legislation for "decoupling," a somewhat wonky provision that would separate (decouple) utility profits from ratepayer consumption. In place of the present arrangement in which utilities profit only from selling more and more electricity, decoupling substitutes rewards to utilities for increasing ratepayer efficiencies and saving power. As Chairman of the House Energy and Environment Subcommittee (of the Energy and Commerce Committee), Markey is expected to be instrumental in driving Obama administration policy, in service to House Energy and Commerce Committee Chairman Henry Waxman (D-Calif). 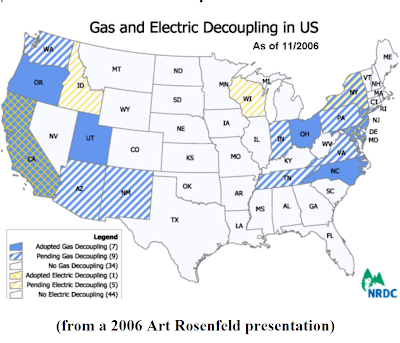 Markey raised the decoupling issue while clarifying a provision in the recently passed stimulus bill that provides $3 billion in Department of Energy grants to utilites for what amounts to decoupling, though the word "decoupling" is not included in the bill. The National Association of Regulatory Utility Commissioners (NARUC) and other decoupling critics pushed to get the term removed from the stimulus bill. 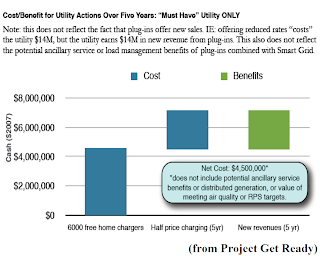 The stimulus bill allows governors to allot DOE grant money to utilities if state regulators will implement rate policies that encourage utilites to help customers "…use energy more efficiently and that provide timely cost recovery and a timely earning opportunity for utilities associated with cost-effective measurable and verifiable efficiency savings, in a way that sustains or enhances utility customers' incentives to use energy more efficiently." That’s decoupling, in a lot more syllables. Making the wording more general gave more authority to state regulators. The authority of states will also be at issue in the RES and transmission legislation. Congress will need to establish a federal RES that respects individual states’ New Energy capacities. In creating siting policies for the national transmission system, Congress must write a law that allows the Federal Energy Regulatory Commission (FERC) to facilitate new wires without stepping on state regulators’ rights to designate where their wires go. Winning NARUC endorsement of the final stimulus bill, despite its dissatisfaction with individual provisions, may be a template for winning similar legislative fights. While enthusiastic about improved effeciency, Republicans remain united in oppositon to the “decoupling” language in the stimulus bill, saying it reduces potential efficiency gains. House Energy and Environment Subcommittee Ranking Member Congressman Fred Upton (R-Mich.): "With decoupling in states, you don't actually see the savings…It just takes away the incentive for folks, businesses or homeowners that are going to actually install the devices that save energy." Actually, California – where decoupling has been a policy for 3 decades – has overtly and unequivocably demonstrated remarkable savings clear to ratepayers and policy makers. While the rest of the country’s energy consumption has increased 50%, California’s consumption has remained the same as it was in 1978. While 40% of U.S. GhGs come from electricity generation, only 20% of California’s GhGs come from electricity generation. Not much more incentive than savings like those. The common ground of incentivizing efficieny, in spite of devisive squabbles over language, is what Markey and other Democrats must find if they intend to successfully take the steps to New Energy Senator Reid seeks. In pursuit of common ground, Congressman Markey has introduced a bill (H.R. 889) to create an efficiency standard. It sets national goals for electricity and natural gas savings through utility efficiency programs, building codes, efficient appliances and other efficiency measures. Industry opposes Markey’s bill, just as it tends to oppose the RES that will force it to invest in New Energy and climate change legislation that will cap its emissions. Industry no doubt feels the world closing in. John Anderson, President, industry association Electricity Consumers Resource Council: "Most large industrial facilities are beyond the point where substantial savings can be achieved with plug-and-play measures such as high-efficiency light bulbs, insulation or motors…The next levels are achieved when entire industrial processes are retooled, rebuilt ... these are big ticket items requiring very large outlays of capital. Further complicating this problem is the current credit crunch." Some industry players can see the handwriting on the wall without recoiling. Rich Wells, vice president of energy at the Dow Chemical Corp., is on record as supportive of Markey’s efforts. The New Energy economy is on the verge of emerging. It has majorities in both houses of Congress and a staunch ally in the White House. 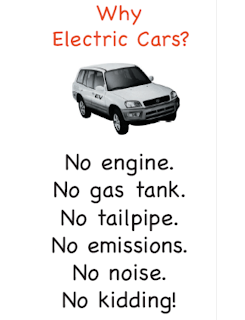 It lacks only a filibuster-proof 60 votes in the Senate to win an RES, new transmission and emissions caps. Like the stimulus bill, New Energy legislation must find the few Republican votes it needs from those who see efforts like Congressman Markey’s as sensible and goals like Senator Reid’s as inevitable. From common ground, those political leaders can march up the Captiol steps to the New Energy economy. Congressman Markey gives a great speech about energy efficiency. From RepMarkey via YouTube. With the stimulus bill done, New Energy now faces fights for an energy bill and a climate change bill with incentives and provisions to drive growth that will achieve the President’s goal of doubled capacity in 3 years. - Leaders in both the House and the Senate expect to handle energy and climate change legislation before December of this year. - The world summit to finalize international plans for the post-Kyoto Protocol fight against global climate change will be in December. - The Obama RES calls for 10% New Energy sources by 2012 and 25% by 2025. - Legislation must pass both houses of Congress before going to the President. 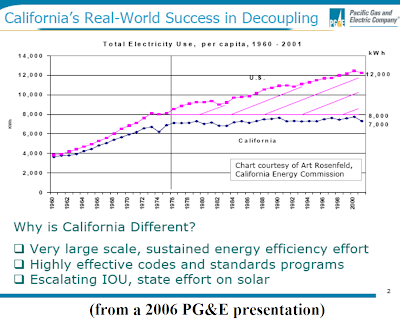 - California’s decoupling program has held that state’s demand constant while the rest of the country’s demand rose 50%. - Bingaman and Murkowski are presently working on a Senate RES and may bring it to the floor before the Spring recess. - Boxer has already begun working on the details of the climate change legislation but it is expected to be a complicated bill. - Democrats in the Senate are attempting to use President Obama’s popularity to urge their Republican colleagues to support the energy and climate change legislation. - Decoupling improved ratepayer energy efficiency from a loss of utility revenues is widely seen as the key to big decreases in energy consumption. - The stimulus bill rewards state regulators’ efforts to impose decoupling policies but does not use the word decoupling. - Markey’s H.R. 889 would steadily up efficiency in electricity and natural gas consumption from 1% (electricity demand) and 0.75% (natural gas demand) in 2012 to 15% and 10% by 2020. It would also allow companies to sell efficiency savings to meet the efficiency improvement requirments. - Waxman has indicated he will bring climate change legislation by Memorial Day. “America needs an oil change.” From RepMarkey via YouTube. - Senator Chuck Schumer (D-N.Y.): "We're playing on the same team with the president. We know that his agenda is the agenda that will move America forward…Our Republican colleagues tried to act like they're cheering for the quarterback and then nitpick his play-calling…President Obama and his agenda are one and the same…You can't separate the man from his agenda." - Congressman John Shimkus (R-Ill.): "[The stimulus language] strongly implies for governors to move to a decoupling regime…There is no confusion that decoupling is a major issue…"
- Congressman Michael Burgess (R-Texas): "Energy efficiency is the type of issue we can work together on…"
- Congressman Markey: "We support an RES; we support a climate bill, and we will try and figure out the best way to get them both done this year…"
"Bolstered by concerns that existing wind energy technology isn't sufficient to meet renewable energy needs, two Ann Arbor startup companies are developing new solutions that could turn wind into a dramatically more viable energy option. "One of the firms, Accio Energy, is developing a stationary "aerovoltaic" device that would be installed on rooftops, harvest wind and turn it into electricity - without the moving parts associated with wind turbines. Put simply, it would resemble a wind version of a solar panel…"
"The second startup company, WindSight, is a spinoff of Ann Arbor-based Michigan Aerospace, an engineering firm that has gradually diversified its technology portfolio in recent years. 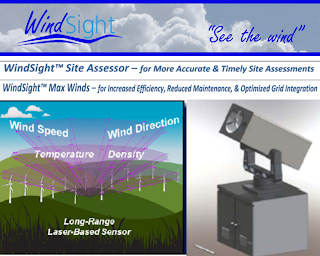 WindSight, led by Michigan Aerospace CEO Peter Tchoryk, is set to commercialize a wind-farm site assessment technology solution. 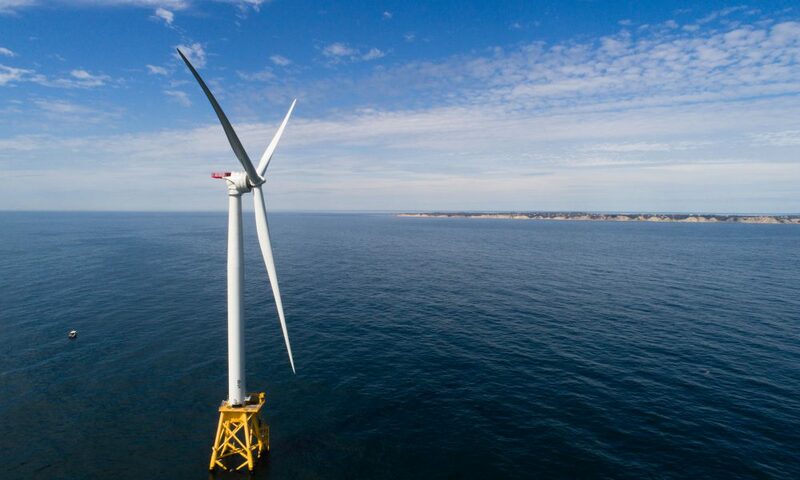 "Together the two companies, albeit officially unrelated, underscore the Ann Arbor region's budding wind energy technology arsenal." "WindSight, meanwhile, is in the midst of raising funds, but Michigan Aerospace CEO Peter Tchoryk said the firm expects to have its system in beta testing by this summer. WindSight's customers would be wind farm developers seeking site analysis tools and ways to optimize turbine performance…"
"But developing that infrastructure is a huge challenge, one that would likely cost billions of dollars and require careful planning and standardization. How that issue is confronted, as much as perfecting the chemistry and costs of high-energy-density batteries, is likely to dictate whether electrons will ever truly replace carbon molecules when it comes time to get from point A to point B." "…Announced this week by the Rocky Mountain Institute, a sustainability-focused think tank based in Snowmass, Colo., [Project Get Ready is] an initiative designed to coordinate, develop and promote efforts to prepare for a plug-in infrastructure…Among the group's concerns: Who will pay for the installation? How do drivers get billed for charging? And how do we make sure that every car will be able to charge at the same locations? "…Project Get Ready [believes]…this matter is best dealt with on a local level…To that end, Project Get Ready has enlisted three cities -- Portland, Ore., Indianapolis and Raleigh, N.C. -- as original members. The cities will keep the group abreast of the work they do to prepare for the arrival of electrified vehicles, and will contribute business plans and other developments to databases on the Project Get Ready site." "The goal of the organization is to get at least 20 cities to join up, using their collective efforts to develop a benchmark or other certification program…The overriding point here is clearly that local governments must play a role in developing the infrastructure…private industry can and perhaps ought to play a role as well…Portland General Electric, the city's power company…[and] General Motors [are] collaborating…[A]utomakers need proof of a real market for their vehicles before they can truly commit…local governments can [also] play a role -- by pledging to buy plug-in vehicles for their fleets. 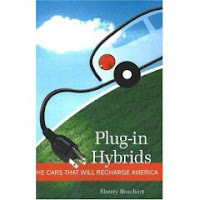 "… Project Get Ready hopes that a million electric and plug-in hybrid cars will be on the road by 2015…To date Tesla has sold about 100 of its electric cars -- the only electricity-powered, highway-legal production vehicle on the market today. Only 999,900 to go!" "Utilities are becoming increasingly active in developing renewable power, prompted by incentives such as a 30% renewable-investment tax credit recently granted by Congress. In addition, expected federal legislation would require greater use of clean-energy sources like wind and solar, and cuts in emissions of carbon dioxide and other heat-trapping gases blamed for climate change. California utilities are required to use renewable sources for 20% of their retail power by 2010, with pending rules boosting that amount to 33% by 2020." 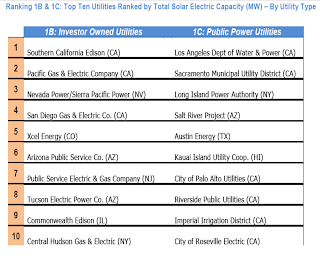 "PG&E's solar program will focus on projects from 1 to 20 megawatts in size, with solar panels mounted on the ground or on rooftops, within the service territory of PG&E utility Pacific Gas & Electric Co. The utility will strive to develop projects on land it already owns, near transmission infrastructure to cut costs and delays associated with hooking up to the state's power grid." "Due in part to inadequate transmission capacity, PG&E is unlikely to take actual physical renewable power deliveries worth 20% of its total portfolio by the 2010 deadline. But with state regulations that allow for "flexible compliance" and pending rules that would allow utilities to purchase renewable- energy credits to comply with part of their obligation, PG&E is unlikely to violate any state rules…"
"The agency is investigating whether the United States Oil Fund and other investors affected the price of (West Texas Intermediate (WTI)] oil on Feb. 6. To maintain its holdings in oil futures, the exchange-traded fund sells, or “rolls,” its front-month contracts and buys second-month futures on four predetermined days every month…"
"WTI prices on Feb. 6 for March, the contract closest to delivery, fell $1, or 2.5 percent, to $40.17 a barrel on the New York exchange, while the April contract rose 39 cents, or 0.9 percent, to close at $46.15. The front-month contract also fell, while the second month rose, on Feb. 4. "A call to United States Commodity Fund was not immediately returned." This is going to fuel the fires of those who believe cap-and-trade is nothing more than a big business scam to profit on climate change. But it’s probably not going to give them much satisfaction. Investigative reporter Marianne Lavelle took a good hard look at who’s involved in the action around anticipated climate change legislation. Her exceptionally valuable work revealed that shaping how the U.S. will cut greenhouse gas emissions (GhGs) is turning into quite a lucrative business. 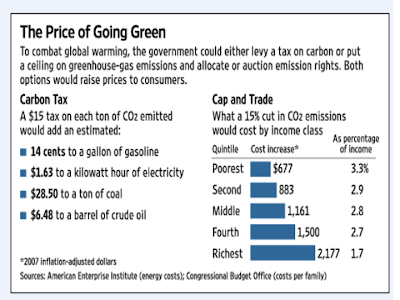 U.S. emissions caps and the trading designed to facilitate emissions reductions are still voluntary. But they will not be for much longer if the President and Congressional leaders get their way. After the November election, President Obama announced new American leadership in the fight to cut GhGs and reverse global climate change and said his administration would develop a mandatory national cap-and-trade system. In his recent address to the joint session of Congress, he reaffirmed this commitment to emissions caps and an emissions trading marketplace. White House Press Secretary Robert Gibbs said, the same day, the Obama administration expects cap-and-trade system-derived revenues in the federal budget by 2012. A cap-and-trade system will apply the return-maximizing drive of the free market to the problem of cutting emissions. Emitting industries such as power producers, utilities and heavy manufacturers will have their GhGs will be capped at restrictive levels. Each industry will be allowed to purchase credits for marginally higher emissions. Those emitters who find ways, through using Energy Efficiency methods and New Energy sources of power, to do their business below capped levels can sell their credits to heavier emitters in the cap-and-trade marketplace. The effectiveness of the limited 1990s sulfur dioxide emissions market in reducing acid rain inclines cap-and-trade boosters to believe such a market-based system will work against GhGs. Many are dubious. There are many GhGs and the main one, carbon dioxide (CO2), comes from lots of sources. Acid rain came only from coal plant sulfur dioxide (SO2) emissions and was therefore much simpler to monitor and eliminate. Many expect global emissions trading to be in the trillions of dollars. Such a system will involve, as Lavelle says, “project developers, financers, verifiers, registries, and consultants…” All of them will be playing for big money and, it is safe to assume, looking for angles. The European Union (EU) Emissions Trading Scheme (ETS) has grown dramatically in each of its 4 years. It has stumbled and learned from its mistakes. As early mistakes were eliminated, players found new ways to game the system. Initially, the EU ETS gave its emitting industries, like power plants and utilities, free credits. Too many free credits. 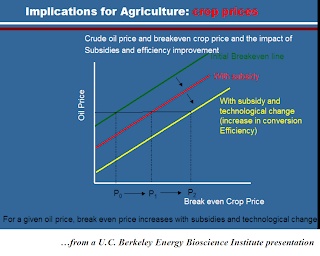 That made generating GhGs too cheap. With the market’s most recent phase, beginning last year, caps were tightened, more industries were capped and credits were auctioned. But the global financial crisis slowed business, the emitters were less active, they needed fewer credits, they dumped their credits for short-term returns and credit value again fell. More damning to the cap-and-trade concept still, European emissions have yet to significantly drop. 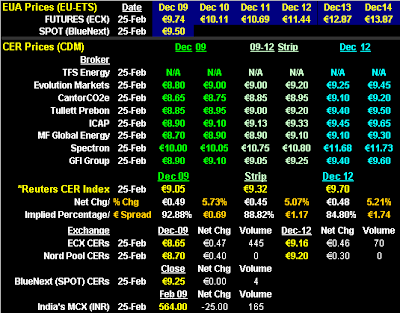 It is likely the EU ETS failings are but growing pains. The system is less than 5 years old and has not been supported by the world’s most important economies (like the U.S., China and India). The failings nevertheless beg the question of how the U.S. can better design a cap-and-trade market. Climate change lobbyists looking to influence the parameters of the U.S. cap and trade system are springing up on Capitol Hill like weeds. Financial institutions alone, which had almost no lobbyists working on climate change and emissions trading in 2003, now have upwards of 150. There are 9 environmental groups actively lobbying. At stake: How severe will emitters be capped? How many credits will be provided for free to entice players enthusiastically into the system and how many will be auctioned, increasing the financial strain on emitters? How regulations and oversight prevent financial strains from being passsed on to utility ratepayers and consumers? 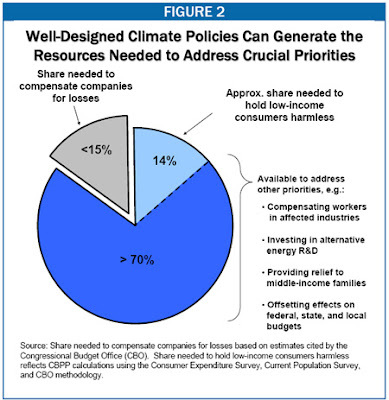 Many believe if the Congressional designers of the cap-and-trade system get it right, it will drive investment in all the right things (i.e., New Energy and Energy Efficiency technologies and infrastructure). If they get it wrong – and in the wake of the recent financial meltdown many doubt the possibility of making an abuse-proof system – the U.S. role in the fight against global climate change could be hampered beyond repair. Williams and Zabel rejected the idea that the anti-acid rain system proved cap-and-trade’s effectiveness and chronicled examples of the system’s failures. They believe a cap-and-trade system is too complicated, too easily manipulated and – most significantly – will not shift investment to New Energy in a timely and large-scale manner. Senate Energy Committee Chairman Jeff Bingaman (D-NM), who will be working hard to pass cap-and-trade legislation for President Obama, does not doubt that. Williams and Zabel advocate a carbon fee. Emitters simply pay a fee for every ton of emissions. It is in essence a carbon tax with another name. 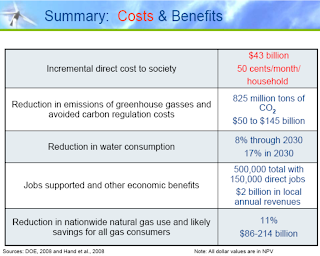 Revenues from the carbon fees would go to the development of New Energy and Energy Efficiencies. The Williams and Zabel “Wrong Ball” analysis assumes cap-and-trade cannot be made effective by correcting failures in past applications. It also assumes a carbon fee system is politically obtainable. 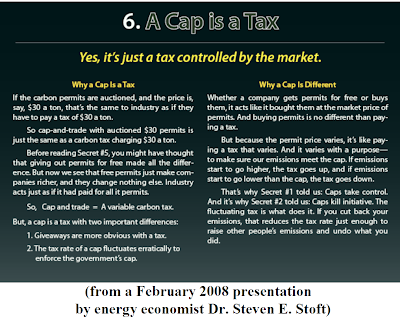 Many say the cap-and-trade concept, like the carbon fee, is merely a carbon tax by another name. 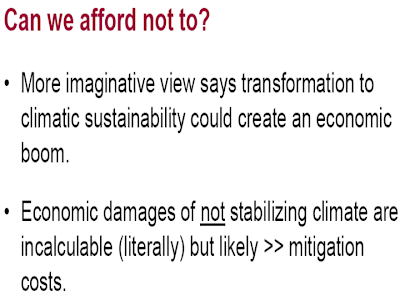 To the extent that is true, it is so because most agree a price must be put on GhGs whereas overtly creating a new tax is not politically viable. With all the players circling around climate change legislation, it is very hard to be sure what is and is not politically possible. It is hard to overestimate how much is at stake. If Hansen is being an alarmist, he’s not alone. Which is why it’s a pretty awful, though inevitable, time for the lobbyists to gum up the works. Though that is exactly what they are expected to do. Also indicative of the complexity of climate change legislation is the attitude of the U.S. 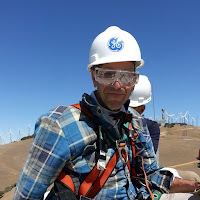 Climate Action Partnership (USCAP), which favors climate legislation and includes General Electric (GE), the biggest U.S. manufacturer of wind turbines, among its members. NASA’s Hansen sees the carbon tax as a way around the lobbyists, the special interests, the schemes that will produce “non-productive millionaires, all at public expense…” Curiously, conservatives such as Senator Bob Corker (R-Tenn) and ExxonMobil CEO Rex Tillerson, as well as the environmental group Friends of the Earth, agree with Hansen. This strange alliance raises the question of what brings them together: Do they all advocate a carbon tax because it is the best approach and they are the smartest guys in the argument? Or do some advocate the best approach because they are idealistic and others because they are cynical enough to use the others' idealism to make the perfect the enemy of the good? The certainty with which President Obama, Senators Reid, Bingaman and Boxer, and Congresspeople Pelosi, Waxman and Markey have most recently affirmed their commitment to the President’s emissions cut goals and to cap-and-trade makes it hard to imagine a shift to a carbon tax or lesser-known alternatives. But the devil will most certainly be in the details – and that is where the lobbyists will be as well. President Obama is for cap-and-trade. From LCVheatison via YouTube. 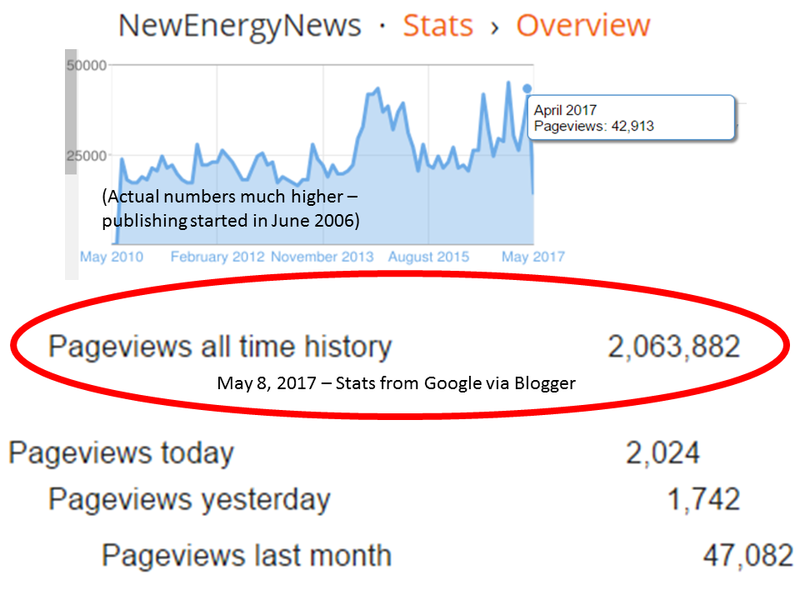 The Climate Change Lobby Explosion; Will Thousands of Lobbyists Imperil Action on Global Warming? Carbon as a Commodity; Can a $2 Trillion “Cap and Trade” Market Fight Climate Change? The U.S. will, under President Obama, join the international effort to fight global climate change by creating a cap-and-trade system to reduce its GhGs. Big money is gathering to influence the rules by which the U.S. will play. - Speaker Pelosi has said she intends to deal with climate change legislation by December 2009. Senator Reid says he will bring climate change legislation by the end of the summer. - The Obama adminstration’s goals are to put the U.S. on track for a 20% reduction in GhGs from 1990 levels by 2020 and an 80% reduction by 2050. - The SO2 cap-and-trade system began in 1990 and acid rain emissions were nearly halved by 2002. - 2003: Almost no U.S. lobbyists working on cap-and-trade legislation in Washington, D.C.
- 2008: 130 registered lobbyists working on climate change legislation and 20 more dedicated entirely to cap-and-trade. - Revenues from the cap-and-trade system auction of credits are expected to go into New Energy and Energy Efficiency development and to compensate those on whom an unfair portion of the burden of the transition will fall. - The lobbying action is on Capitol Hill. - The EU ETS trades around the world but is mandatory for the 27 member nations. - 770 companies and interest groups hired ~2,340 lobbyists to influence federal policy on climate change in the past year. They spent $90+ million. They represented 150+ businesses and interests, 70% in electricity, coal, and oil firms and the heavy industries (auto, cement, and steel). - Prominent climate change lobbyists: former House Majority Leader Richard Gephardt (D-Ms), former House Appropriations Committee Chairman Robert Livingston (R-La), Drew Maloney, former top aide to then-House Majority Whip Tom DeLay (R-Tx), Andrew Athy, former counsel to former House Energy and Commerce Committee chair John Dingell (D-Mich), Jack Quinn, White House lawyer to President Clinton, Wayne Berman, assistant commerce secretary under President George H.W. Bush. Big name players against climate action: U.S. Chamber of Commerce, the National Association of Manufacturers. - Waxman and Boxer, whose committees will drive House and Senate legislation, have endorsed legislation along the lines proposed by the President. - The effectiveness of the market for acid rain emissions inclines cap-and-trade boosters to believe such a market-based system will work against GhGs. - Williams and Zabel are EPA attorneys with experience in cap-and-trade and other forms of emission trading. - Williams and Zabel say the carbon fee system is analogous to the Montreal Protocol program that charged a fee for ozone-depleting CFC-emissions. - Williams and Zabel say cap-and-trade problems include (1) fraudulent offsets, (2) rationing, manipulation and price volatility, (3) complex bureaucracy, unenforceability and inertia, and (4) over allocation of credits. - Elements of a well-designed cap-and-trade system (from EDF): (1) A mandatory emissions cap limiting total emissions and providing a metric of progress and credit value; (2) A fixed number of credits for each emitter; (3) Banking and trading of credits; (4) Clear performance criteria, transparency and regular supervision of performance; (5) Flexibility in choice of how to meet caps. 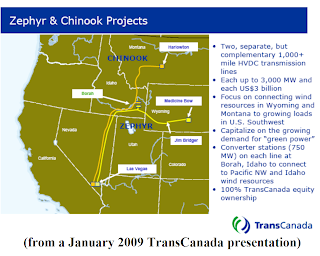 "TransCanada Corp. won federal approval of its rate plan for two proposed power transmission lines that would primarily deliver wind-generated energy from Montana and Wyoming to the southwestern U.S.
"The Federal Energy Regulatory Commission in Washington [approved]…the projects -- a 1,000-mile line known as Chinook that would stretch from Montana to Nevada and a 1,100-mile line, known as Zephyr, stretching from Wyoming to Nevada. Both would end south of Las Vegas…. 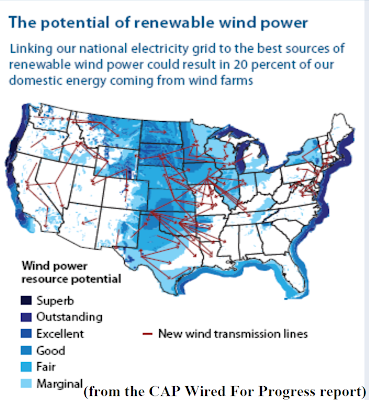 "The U.S. has inadequate transmission capacity to carry the electricity that wind and solar power projects could produce, according to a report [from the Solar Energy Industries Association and the American Wind Energy Association]…Wind-power projects waiting to be hooked up to transmission lines could supply 20% of the nation's electricity needs…"
"The US$787-billion stimulus legislation signed this week by President Barack Obama includes at least US$14-billion in tax breaks for wind and solar electricity and establishes a grant program to help finance projects. It also devotes US$11-billion to new transmission lines and so-called smart-grid technology." "IBM (NYSE: IBM) today announced its membership in the EDISON research consortium, a Denmark-based collaborative aimed at developing an intelligent infrastructure that will make possible the large scale adoption of electric vehicles powered by sustainable energy. "The EDISON effort (Electric Vehicles in a Distributed and Integrated Market using Sustainable Energy and Open Networks) consists of IBM, Denmark's largest energy company DONG Energy, the regional energy company of Oestkraft, Technical University of Denmark, Siemens, Eurisco and the Danish Energy Association. Due to the environmental benefits of the electric vehicle technologies, the research will be partly funded by the Danish government." "The first step of the consortium is to develop smart technologies to be implemented on the Danish island of Bornholm, designed to function as a testbed. The island has 40,000 inhabitants and an energy infrastructure characterized by a large proportion of wind energy…The studies will be simulation-based…"
"While various companies have announced initiatives in Denmark that will contribute to the overall adoption of an electric vehicle system, EDISON will address the entire end-to-end process to make the system possible… ensuring overall grid stability and supporting the increased use of renewable energy…IBM is working with clients in nearly 50 Smart Grid engagements … "
"The University of Alberta and the National Research Council's National Institute (NINT) for Nanotechnology have engineered an approach that is leading to improved performance of plastic solar cells (hybrid organic solar cells). The development of inexpensive, mass-produced plastic solar panels is a goal of intense interest for many of the world's scientists and engineers because of the high cost and shortage of the ultra-high purity silicon and other materials normally required." "The team estimates it will be five to seven years before plastic solar panels will be mass produced but…when it happens solar energy will be available to everyone…the next generation of solar technology belongs to plastic…"
"Barely a year after Congress enacted an energy law meant to foster a huge national enterprise capable of converting plants and agricultural wastes into automotive fuel, the goals lawmakers set for the ethanol industry are in serious jeopardy. "As recently as last summer, plants that make ethanol from corn were sprouting across the Midwest. 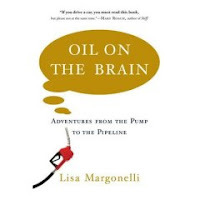 But now, with motorists driving less in the economic downturn, the industry is burdened with excess capacity, and plants are shutting down virtually every week." "In the meantime, plans are lagging for a new generation of factories that were supposed to produce ethanol from substances like wood chips and crop waste, overcoming the drawbacks of corn ethanol. That nascent branch of the industry concedes it has virtually no chance of meeting Congressional production mandates that kick in next year. 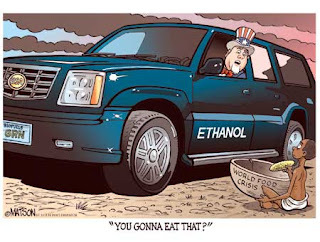 "The government’s Energy Information Administration recently projected that the industry would fall short of the targets for expanded use of ethanol and other biofuels that Congress set in a 2007 energy law…"
"…Congress mandated a doubling of corn ethanol use…[and]the use of an additional 21 billion gallons of ethanol and other biofuels produced from materials collectively known as biomass…it is becoming clear that even these modest targets will not be met…"
The rage for new transmission goes on even as the controversy over the need for new transmission rages. Many of the biggest names in New Energy advocacy (including former President Bill Clinton, Former Vice President and Nobel laureate Al Gore, Nobel laureate and Secretary of Energy Steven Chu, Speaker of the House of Representatives Nancy Pelosi, energy entrepreneur T. Boone Pickens, Senate Majority Leader Harry Reid, American Wind Energy Association (AWEA) Executive Director Denise Bode and Former Clinton Chief of Staff John Podesta) gathered at a Center for American Progress (Cap) Action Fund forum to call for the development and deployment of a new national high voltage transmission grid to facilitate the delivery of electricity generated by New Energy in remote, unpopulated areas to urban population centers. Secretary Chu: "We need to move with a sense of urgency…We need a very, very smart grid…"
Secretary Chu called for consistent policies and universal standards so that entrepreneurs can understand the rules of the marketplace. Former President Clinton’s remarks were typically wide-ranging and penetrating. He talked about the national security value of a reliable and secure smart grid and pointed out that modernizing the national transmission system would facilitate the move to domestic energy supplies and boost the economy. President Clinton: "We know this is the key to our job growth." Mr. Gore emphasized the urgency of ending the on-again, off-again U.S. affair with New Energy and making a commitment to new transmission infrastructure as part of the nation's responsibility in the fight against climate change. Vice President Gore: "This roller coaster is headed for a crash, and we're in the front car…"
Speaker Pelosi's remarks echoed Mr. Gore's and she expressed her determination to see legislation for new national transmission through Congress. Speaker Pelosi: "…[T]he status quo folks will try to stop this [but]… It is our moral responsibility to preserve this planet…"
Energy entrepreneur T. Boone Pickens talked about the terrible costs to the U.S. of oil dependency and urged the New Energy transmission project as well as the building of New Energy infrastructure and the retrofitting of homes and buildings to boost energy efficiency. Liberal Massachusetts Congressman Ed Markey said that to his own surprise he agreed with everything Pickens, a conservative Texan, said. Podesta, who as a principal at CAP was one of the conveners of the forum, said a national Green Grid is vital. Podesta: "These are national problems; they require national solutions." Senator Reid reminded the gathering of the success of the federal government in creating rural electrification, the national highway system, and the Internet. 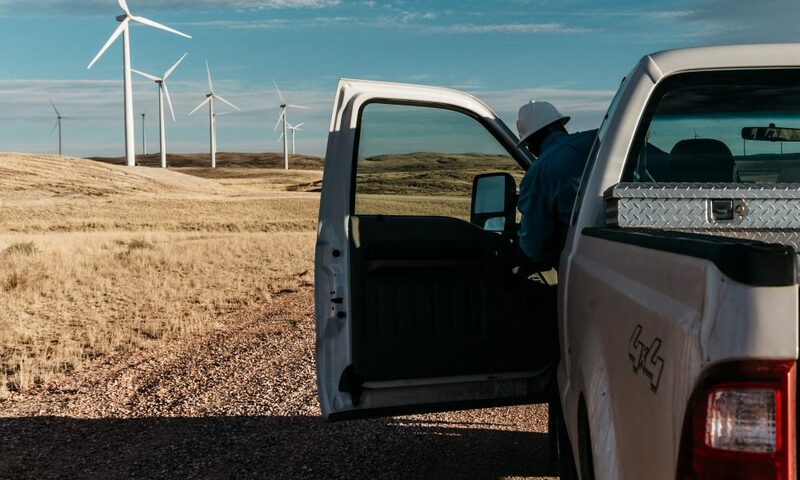 Reid: "Everyone should get off the kick that this program won't work if the government is involved in it…"
According to a Christian Science Monitor reporter, Jeffrey Nelson, President of the South Dakota Wind Energy Association, is all for such a national transmission project. 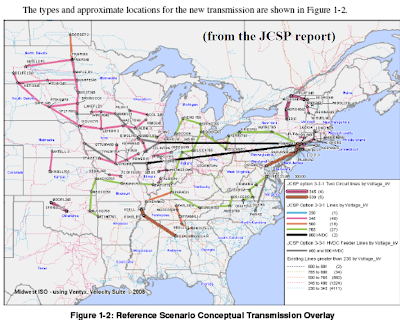 Joint Coordinated System Plan 2008 (JCSP), a new report on transmission in the Eastern Interconnect section of today's grid, spells out parameters and costs for the eastern half of a new system. 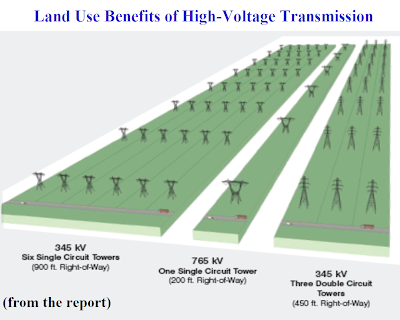 New transmission advocates welcome the $80 billion cost and unanimously argue the improvements will pay for themselves by creating downward price pressure on electricty from competition between power generators. But not everybody likes the idea of new transmission. Objections come from activists and environmentalists who resent the aesthetic and wildlife habitat intrusions. They also come from veterans in the struggle against coal who believe new transmission will not be used for New Energy but will facilitate the increased delivery of “black electrons” generated by coal-fired power plants. ITC Holding wants to build the Green Power Express, a $12 billion, 3,000 mile project for Nelson’s wind. Coincidentally, it passes by numerous major coal plants. Reassurances to environmentalists from the project developers are not exactly reassuring. Here’s the question: Can the promise of the President's proposed Renewable Electricity Standard (RES) - to get 10% of U.S. power from New Energy by 2012 and 25% by 2025 - be fulfilled without new transmission? The opponents of the "green" grids who fear they will carry "black" electrons say the answer is more local New Energy, more distributed generation, a smarter grid and more energy efficiency. 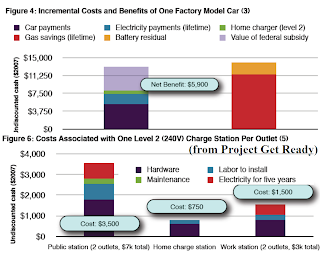 A similar point is made by opponents who do not readily believe the argument that new transmission will pay for itself. Other experts, including system operators, have raised questions about the financial and technical viability of a major system and expressed preference for local improvements, better efficiencies and distributed generation. If there is to be a national transmission system, the Not-In-My-BackYard (NIMBY) objections must be overcome. 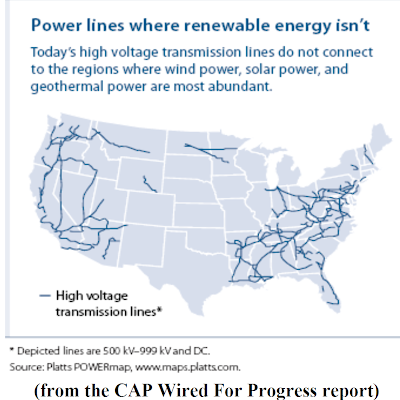 Many in the energy and transmission planning communities and many on the CAP panel believe the solution must come from a federal siting policy managed by the Federal Energy Regulatory Commission (FERC) that streamlines the permitting process now in the hands of state regulators. There are, of course, those who will not tolerate federal interference in state matters. This would be a good place all that Obama non-partisanship to ride to the rescue and settle contentions. It will not be as easy as all that, but Carol Browner, White House energy and climate coordinator, recently expressed approval for such an inter-agency siting group. There is a good reason to do the work. California Governor Arnold Schwarzenegger, one of New Energy’s biggest boosters, wants to get out ahead of the process by streamlining the permitting process for transmission and New Energy installations in his state (KulleeFORneeya). Presently involving nine different agencies, Governor Schwarzenegger wants a single state Department of Energy to handle the process. Why? 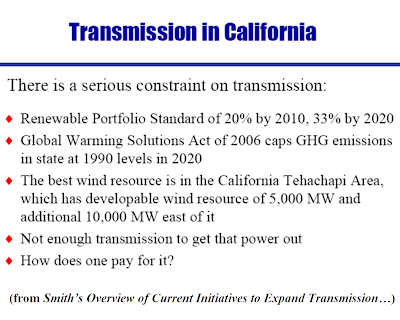 Because whereas most states take 5-to-7 years to build new transmission, California takes 10-to-12 years. Why? Because of bureaucratic red tape and lawsuits. Lisa Page, spokeswoman for Governor Schwarzenegger: "The goal is to help California focus on energy stability and to ensure coordination across agencies…We have a very aggressive goal of 33 percent renewables by 2020 and reducing greenhouse gases, so given those aggressive goals, this will help streamline projects so we can get more renewable energy." That's the news from the cutting edge. Stay tuned - there is sure to be more to come over the wires. 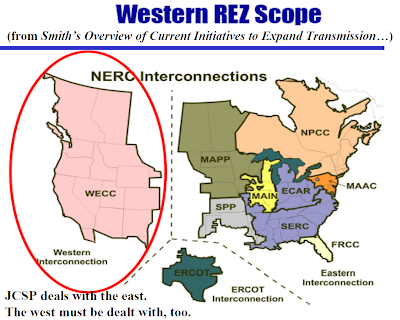 Wired For Progress and Joint Coordinated System Plan 2008 (JCSP) are 2 of many proposals for the new transmission system New Energy and Smart Grid technologies require. - The JCSP was released February 14. - The Green Power Express was announced February 9. - President Obama has repeatedly asserted he wants to double U.S. New Energy capacity in the next 3 years. - 2004: Governor Schwarzenegger first proposed the 1-stop permitting Department of Energy agency. - Wind resources are abundant on the Midwestern plains, solar energy is most abundant in the Southwestern deserts, offshore wind is most harvestable on the Great Lakes and off the Middle Atlantic coasts, wave energy is most abundant off the Pacific coast and current energy is plentiful in the Gulf Stream off Florida. 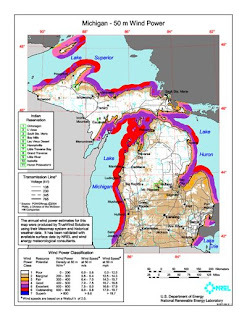 - Wind resources from Canada to nearby New England cities could obviate the need for transmission to deliver it from U.S. sources farther away. 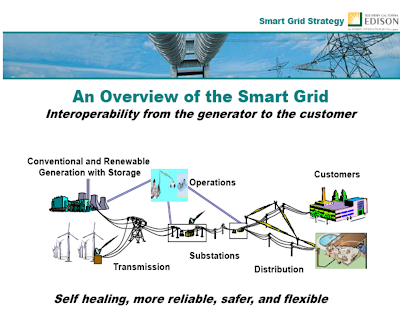 - Boulder, CO, won praise from Secretary Chu for making expenditures to develop the first U.S. smart grid in spite of the absence of national standards and established long-term policies. - ITC Holdings is based in Novi, Mich.
- Secretary Chu believes entrepreneurs will invest in new transmission systems when they know there are consistent policies and specific standards in place. 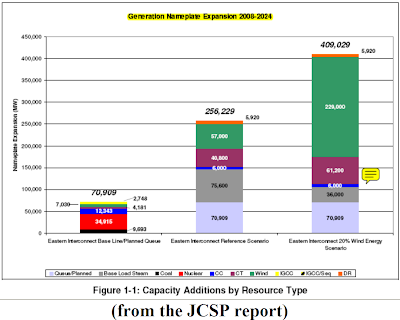 - The JCSP is estimated to entail 15,000 miles of lines and a cost of $80 billion. 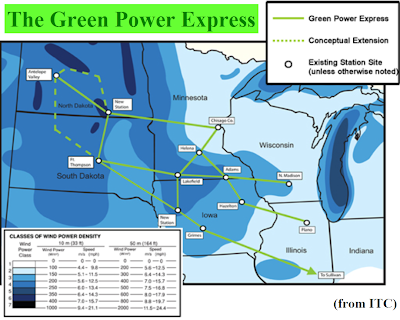 - The Green Power Express is an ITC Holdings-proposed 3,000 mile, $12 billion transmission plan. 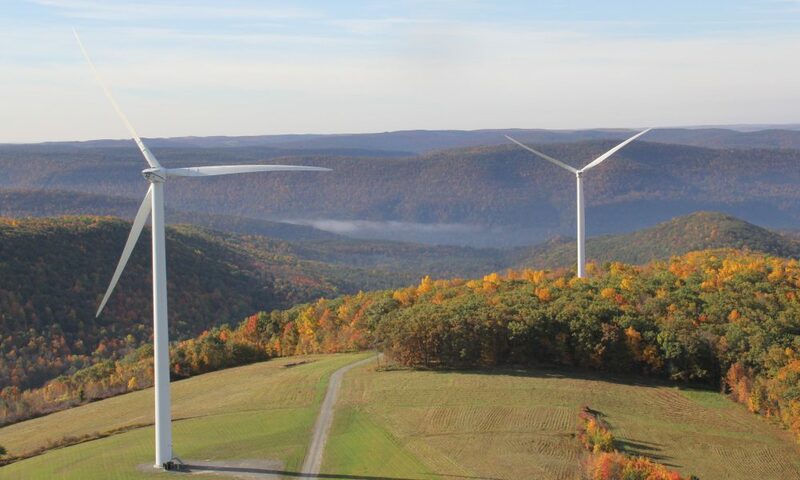 - Plans call for the Titan Wind Project to have 2,000 wind turbines and generate 5,000 megawatts. The Green Power Express would theoretically carry the power it produces. - The stimulus package directs $4 billion for Smart Grid planning and development. 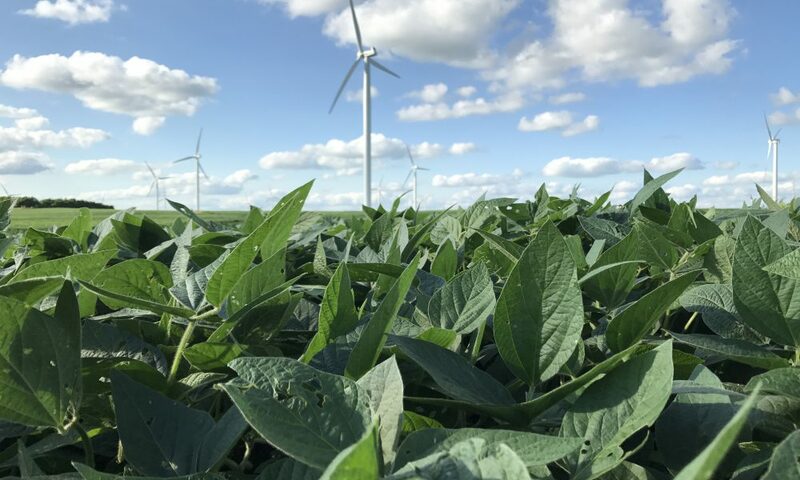 - CapX is a joint project from 11 different Minnesota utilities which claims to be intended to bring Dakota wind to Minnesota’s cities but will also carry coal-generated power. - Siting processes slow transmission development. - The Sunrise Powerlink that will deliver solar energy-generated electricity from the California desert to the San Diego Bay area was first proposed in 2001, was recently approved and will not be built before 2012. - One of the few known principles of the 1-stop permitting plan would be to eliminate Public Utilities Commission authority over transmission siting and renewable power projects over 50 megawatts. - Agencies Schwarzenegger wants to eliminate from the permitting process: California Lands Commission, California Energy Commission, the California Power Authority, the Electricity Oversight Board, the California Energy Resources Scheduling Division, the Department of General Services, the Office of Planning and Research and the Office of the State Architect. - Chu: "What we really need is to lock these people up in a room and say, 'Come out with a standard in a few weeks.' "
- Clinton: "Every time oil dropped, people said, 'Gimme my Hummer back,'…That's not what they're saying now. " - Pickens: "We have got to solve the problem with our own resources." - Podesta: "We can't let this crisis go to waste…"
- Paul Thayer, executive director, State Lands Commission: "We haven't been consulted or have any idea what's going to happen…"
- Schwarzenegger: "At a time when California families and businesses are cutting back and tightening their belts, state government must do the same -- we have a responsibility to ensure government is working efficiently with taxpayer dollars…"
"A new study on the installed costs of solar photovoltaic (PV) power systems in the U.S. shows that the average cost of these systems declined significantly from 1998 to 2007, but remained relatively flat during the last two years of this period. 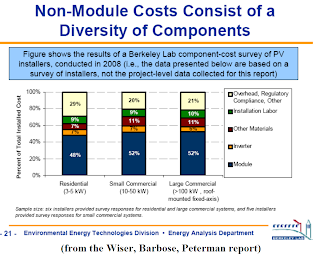 "[Ryan Wiser, Galen Barbose, and Carla Peterman] at [the Environmental Energy Technologies Division of the] Department of Energy’s Lawrence Berkeley National Laboratory (Berkeley Lab) who conducted the study say that the overall decline in the installed cost of solar PV systems is mostly the result of decreases in nonmodule costs, such as the cost of labor, marketing, overhead, inverters, and the balance of systems…"
"[Tracking the Sun: The Installed Cost of Photovoltaics in the U.S. from 1998–2007] examined 37,000 grid-connected PV systems installed between 1998 and 2007 in 12 states. 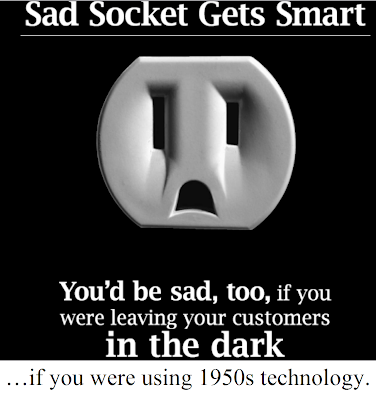 It found that average installed costs, in terms of real 2007 dollars per installed watt, declined from $10.50 per watt in 1998 to $7.60 per watt in 2007, equivalent to an average annual reduction of 30 cents per watt or 3.5 percent per year in real dollars. 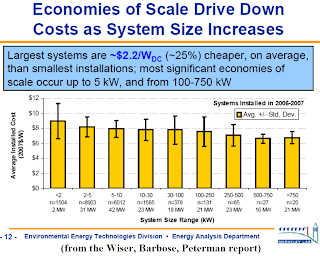 "…According to the report, this trend, along with a reduction in the number of higher-cost “outlier” installations, suggests that state and local PV-deployment policies have achieved some success in fostering competition within the industry and in spurring improvements in the cost structure and efficiency of the delivery infrastructure for solar power…"
"…[A]verage costs range from a low of $7.60 per watt in Arizona, followed by California and New Jersey, which had average installed costs of $8.10 per watt and $8.40 per watt respectively, to a high of $10.60 per watt in Maryland. Based on these data, and on installed-cost data from the sizable Japanese and German PV markets, the authors suggest that PV costs can be driven lower through sizable deployment programs. 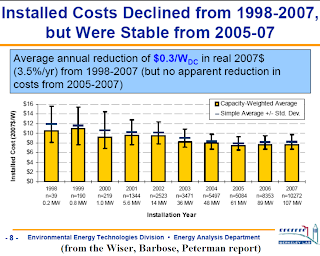 The study also found that the new construction market offers cost advantages for residential PV systems…"
"…[D]irect cash incentives provided by state and local PV incentive programs declined over the 1998-2007 study period. Other sources of incentives, however, have become more significant, including federal incentive tax credits (ITCs). As a result…total after-tax incentives for commercial PV were $3.90 per watt in 2007, an all-time high…Total after-tax incentives for residential systems, on the other hand, averaged $3.1 per watt in 2007, their lowest level since 2001. 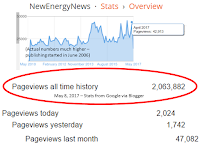 "Because incentives for residential PV systems declined…the net installed cost of residential PV has remained relatively flat…At the same time, the net installed cost of commercial PV has dropped…32 percent, thanks in large part to the federal ITC…"
"…We write today to begin a partnership with your Administration to address some of the nation’s most pressing needs — jobs, energy, and climate —through the use of domestic renewable energy resources. 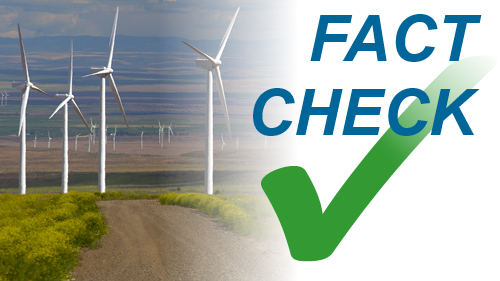 "Wind energy is a clean, abundant, and affordable source of energy. 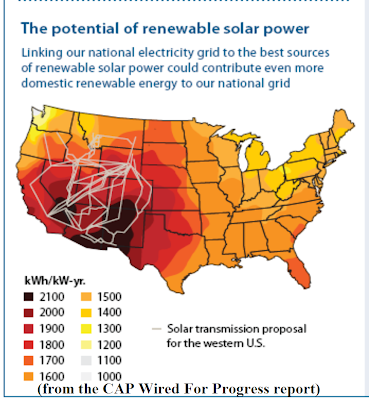 According to the U.S. Department of Energy, with the right policies and investments, the United States can generate 20 percent of our electricity demand through wind and other renewable sources by 2030…"
" Support for the construction of New Interstate Electric Transmission Capacity… implementation of this policy will also substantially increase the overall reliability of the nation’s power system, reducing electricity costs to consumers. "The Governors’ Wind Energy Coalition stands ready to work with you…"
"Airtricity, the renewable energy arm of the Scottish and Southern Energy utility group, has signed an agreement aimed at developing sites capable of hosting 1,000MW of marine energy by 2020…with Aquamarine, the only UK marine energy company developing both wave and tidal power devices simultaneously, which has secured test berths for both technologies at the European Marine Energy Centre in Orkney." "Airtricity was acquired by SSE last year for £1bn and the combined Airtricity/SSE team has developed 40 wind farms across Europe and North America, generating more than 1,500MW." 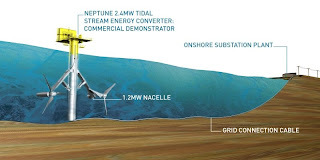 "Aitrtricity is currently developing two of the world’s largest windfarms, a 504 MW project at Greater Gabbard, off the Suffolk coast, and a 456MW onshore wind farm, located in the Upper Clyde Valley." "During his presidential campaign Obama laid out plans for a trading system that would set limits on greenhouse gases such as carbon dioxide and allow factories to trade permits to pollute more. "The European Union is anxious for the United States to develop a trading system to hook up with its own established scheme." November 17, 2008. From ChangeDotGov via YouTube. "Obama has not released any details about his plans for such a system since taking office, while his administration focused on lifting the country out of recession and shoring up the banking system. "The White House Web site says Obama plans to implement an 'economy-wide cap-and-trade program' to reduce greenhouse gas emissions 80 percent by 2050."